Some of the obstacles and opposition we faced within the industry itself, and some of the ways we were disciplined as a militaristic kind of family, took a heavy toll. Our dad was an Army sergeant, so we were raised as soldiers basically. The attitude was all for one and one for all, where we had each other’s backs. We were one unit and each of us had a role to play within that unit, which gave us purpose at a young age. We grew up with a lot of pressure to be perfect and to recognize we were being watched. We were different, and our father made sure we knew it, and that it was OK. We had a mission to perform, and that was to lift families and to bring people to Christ. 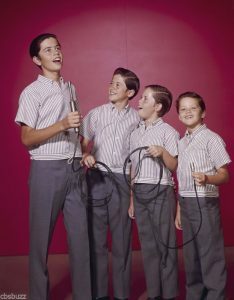 The working title of the musical play that Jay is writing about being an Osmond is “He’s My Brother.” Jay says, “It will be part ‘Bohemian Rhapsody,’ part ‘Jersey Boys. Without the swearing of course.” Jay first got the idea to create a musical play two years ago. To get things started, he and his wife Karen moved to Chester, England, a town just south of Liverpool, to collaborate with a group of English scriptwriters and to be closer to the Swedish production company that has signed on to produce the play. The plan is to premiere the play in the latter part of 2020 in London’s West End. If things go as projected, the play will then come to America. Jay says that the interest in the Osmonds has remained stronger over the decades in the United Kingdom than in America for some reason. 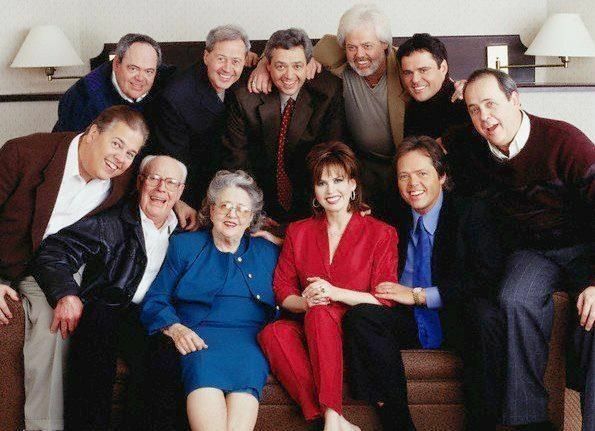 Throughout the play, recognition is duly given to the famous people who helped the Osmonds on their amazing journey to becoming the Osmonds – the world-class entertainment family that the world has come to know and love throughout the years. 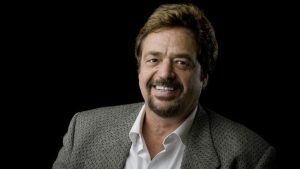 Such people include Walt Disney, Andy Williams, Elvis Presley, Jerry Lee Lewis, and also Chuck Norris, who trained the Osmonds in karate to toughen up their dance moves. All accompanied by the Osmond music that has sold 100 million records. None of his siblings are involved in the project, nor will any of them be part of the production. Jay said, “The story as it’s been told before has been too sugary. I wanted to tell the story of how hard it was and how wonderful the journey was.” He also said, “This thing would never get off the ground if everyone was involved because each [his siblings] have their own opinion. This comes from my perception as the middle child of this family.” Jay will narrate the play but will not act or sing. Someone else will play his part. Auditions for singers should begin by the end of 2019.